Aleshia Carlsen-Bryan reveals what it was like organizing a 5K Endofound fundraiser, and why she felt passionate about the cause! Are you interested in volunteering with the Endofound? Fill out the form here to get started! 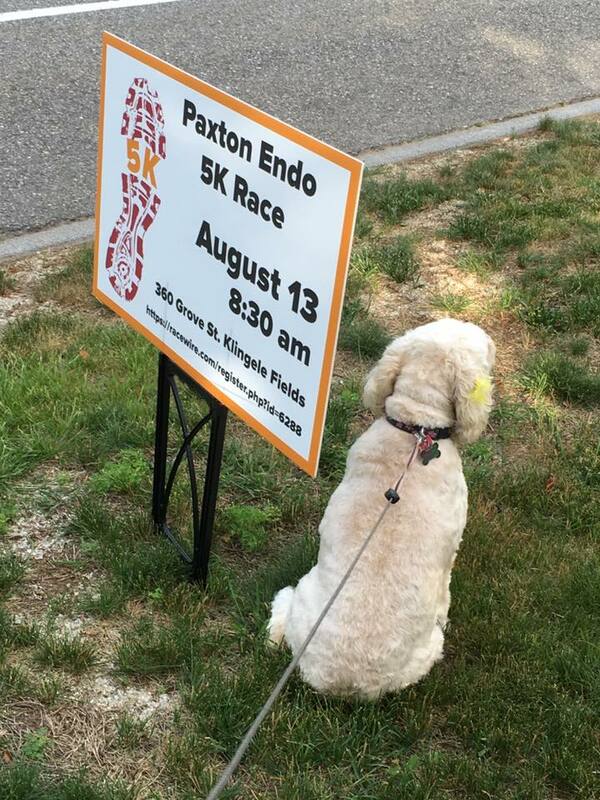 Aleshia: My husband and I hosted a 5K called the Paxton Endo 5K. It was in Paxton, Massachusetts and had over 60 participants. 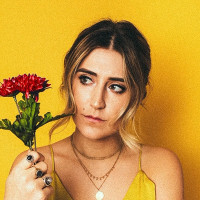 Aleshia: The Endofound has educated me not only about endometriosis, but adenomyosis, and pelvic floor dysfunction as well. I have attended many low cost conferences and free panels. I will be forever grateful for the knowledge they have provided me at a very low cost, which allowed me to make informed decisions about my health and managing my care. After participating in these events for several years, I felt as though it was time to give back which is why I held a 5K race and had all profits go to the Endofound. Aleshia: The phrase on the front of the shirts that we had said “raise your voice” and I think this speaks to the impact that the race had on the community. Individuals who had no idea what endometriosis was, now did. Some participants had endometriosis themselves and shared with me how grateful they were for me hosting the 5K. 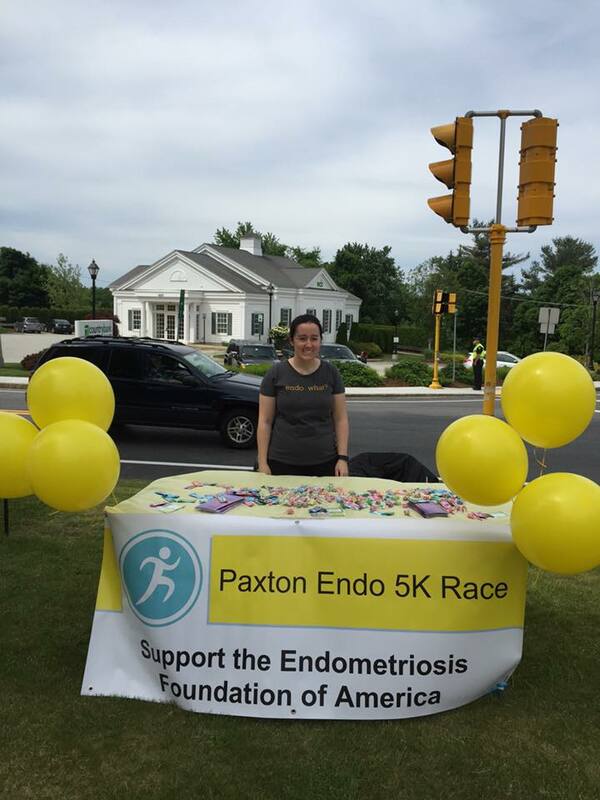 The best part of the race was raising awareness about endometriosis. Endofound: Why do you think it is important to support organizations like the Endofound? Aleshia: It is important to support organizations like the Endofound because women need to be educated and need resources to help assist them in managing their health. The best healthcare advocate someone can have is themselves which requires patients to become knowledgeable about the disease. Patients need facts and data about the disease and the various treatment plans in order to make informed decisions. Aleshia: Awareness initiatives are essential in increasing knowledge about a disease. Considering 1 in 10 women are affect by endometriosis, one would think more individuals would know about the disease. Hopefully these awareness initiatives will highlight the disease which will help the government notice the need for more funding to be provided towards the research of endometriosis and eventually finding a cure for the disease. Endofound: Can you please share a little bit about your story with endometriosis? Aleshia: When I was in college, I started to have extreme pain on my right side, it was so painful it hurt to walk. The health center sent me to the emergency room because they thought I was having an appendicitis. After several tests, the emergency room released me and suggested that I consult with an OB/GYN. It was during my first consultation with the OB/GYN that I heard endometriosis being suggested as my diagnosis. After several years of pain that kept getting worse, I finally decided to have excision surgery for endometriosis. I traveled to Maine to have excision surgery by one of the well-known endometriosis surgeons in the United States. After surgery in December 2014, I have had continued pain that has been diagnosed as pelvic floor dysfunction along with a suggested diagnosis of adenomyosis. I have been in physical therapy for two years to deal with the pelvic floor dysfunction. 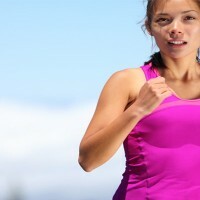 My main goal after surgery in 2014 was to get back to running. While becoming frustrated in PT about my progress, I was looking for something to motivate me which is why I started planning the 5K. I am happy to report that I successfully completed the 5K! Aleshia: If I had seen the ENPOWR project in school I would have known what endometriosis was. I also would have known where to find invaluable resources like the Endofound in order to help me make informed decisions about my care. Aleshia: I would suggest teaming up with someone that is as passionate about organizing a fundraiser with you, because we learned that it takes a team to make the event happen. Endofound: How do you plan to raise awareness for endometriosis in the future? Aleshia: I have been working on creating a one-week course at MIT that is titled “Exploring Public Health through the Lens of Endometriosis”. I work with prehealth students at MIT and I thought this course would be a great way to raise awareness about endometriosis and educate future physicians about the disease. 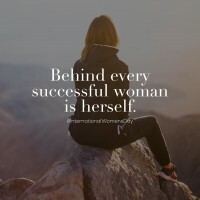 As part of the course, we will be looking at research being conducted on endometriosis, a physician will come to the class that treats endometriosis, there will be a patient panel, students will watch the Endo What Film, and a representative from the Endofound will come and talk about the importance of public health when it comes to endometriosis.